Normally, when people think about innovation they think about moving forward. Sometimes, it requires a step backwards. Chris Boothe is proving that in his transformation of Spark SMG from a small, industrial-focused, lesser-known, conflict shop of big sister and brother Starcom and MediaVest into what could well be the agency of the future. To remind his team that sometimes the past can be prologue, Boothe had some old school typewriters — remember those? — installed in Spark’s Chicago headquarters. Why, you ask, utilize an 18th Century technology to spark innovation in a 21st Century agency? Because Boothe believes people who use the indelible medium compose their ideas differently, and with more care and forethought, than on an ephemeral digital medium like tablets, computers and the ilk. And it is that throwback acknowledgement to care and forethought — and the quality of work and service that come with it — which is the underlying reason we’ve selected Spark as one of MEDIA’s agencies of the year for 2013. Let’s call it the “smaller agency” category, because Spark is too big to be called a “boutique,” it’s not quite big enough to be compared with the resources of the the giant media agency networks that normally get recognized here, and it’s not truly independent in the sense that it is part of an agency holding company. But it is its smallness, in part, that has contributed to its freer spirit, it’s ability to break from the organizational morass that can be an impediment to great ideas (and service) in bigger organizations. 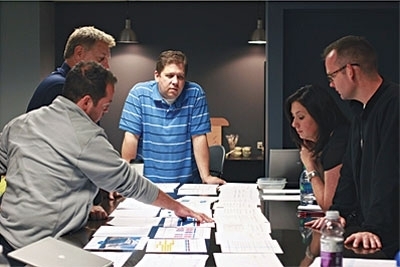 “I can’t tell you how many times clients remark how refreshing it is that they can just pick up the phone and that I actually answer when they call me,” brims John Muszynski, the seasoned Madison Avenue vet who was the top media buyer inside SMG when Boothe convinced him to throw-in as the top buyer for the smaller team. Muszynski didn’t hesitate for the opportunity to shed some layers of corporate bureaucracy and get more entrepreneurial. In fact, he and Spark CEO Boothe liken the agency more to a start-up than a traditional agency. To make that point, Spark moved from SMG’s legacy headquarters at 35 West Wacker Drive to Chicago’s Merchandise Mart, which is home to actual start-ups, such as 1871, an incubator of “Chicago’s coolest start-ups.” 1871 is named after the year of the great Chicago fire, and to help Spark catch some fire — if not ignite some — Boothe also cut an exclusive deal giving the agency first-look rights to some of the ventures. Clearly, Spark is not living in the past, even if it embraces some of the best from it. The agency’s future focus is 100 percent on innovation, and largely built around the next generation — of people, not gadgets. Specifically, Millennials. While most agencies say they are centering around the younger demographic, Spark has rebuilt its entire planning team around it. Boothe’s first step was recruiting youth/Millennial expert Scott Hess from WPP’s TRU unit to head up the agency’s braintrust. Hess, who has the Millennial era title of senior vice president of human intelligence, has no backgorund in the media industry whatsoever, but he is an expert on the way Millennials think, feel and behave... and he has used that to alter the way some of the biggest consumer brands think, feel and behave including Taco Bell, Ace Hardware and others. 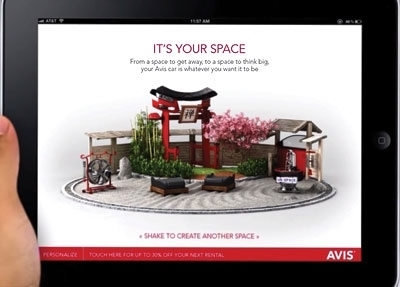 The Avis campaign was the first to integrate with an iPad’s Accelerometer technology and Taco Bell’s was the first to utilize 3D cinema. That’s not to say Spark’s focus is mainly on the next shiny thing. Some of its most innovative work has been with good old-fashioned blocking and tackling, like negotiation and stewardship of media buys. Perhaps the best example was how Muszynski’s team haggled for guaranteed ad views for client ConAgra’s online ad buys. Leveraging research that as much as 70 percent of display ads aren’t even visible to consumers, the Spark team negotiated “in-view guarantees” from top publishers. By paying only for viewable impressions, the agency estimates it boosted ConAgra’s overall effectiveness by 48 percent. In another media negotiating first, Spark secured 100 percent audience guarantees for its digital video buys based on comScore’s VCE reporting during its 2013-14 digital upfront negotiations. The agency also developed an especially innovative audience targeting technique for the state of Montana’s tourism office. Since the state was focused mainly on attracting visitors from specific geographies — mainly people in Chicago, Salt Lake and other cities prone to visit the Big Sky state — Spark worked with PlaceIQ to develop a method of targeting consumers based on geofencing. That meant only online visitors from the relevant geographies would see Montana’s ads, cutting its waste to zero. Montana is the first state ever to utilize the technique. 1 comment about "Small Agency of the Year: Spark - Sometimes, Innovation Is Right Behind You ". John Grono from GAP Research, January 14, 2014 at 5:42 p.m. Interesting article and I like their approach. But even more than that I'd love to see their "18th Century" typewriter. That would be worth a mint! While the pundits argue over who actually invented the typewriter most agree it was in the 1860s that typewriters as we know them were manufactured. Mills' 1714 patent (which appears to be the first record of a similar mechanical device) was believed to have been constructed but likely as a one-off machine.